President Trump’s son-in-law and senior adviser on Middle East peace, Jared Kushner, is looking to make the deal of the century between Israel and the Palestinians. I don’t know if it can be done, but Kushner says that in order for Israel to form an alliance with Arab states to fight Iran in the war that is coming, first, they have to make peace with the Palestinians. That’s really hard to do with someone who wants to kill you. Plus, the Palestinians have Iranian terrorists in their midst in the form of Hamas, who are funded by Iran. Right now, Iran is the lion at Israel’s door and Israel is preparing to fight them, but so is Saudi Arabia. War makes for very strange bedfellows and in a strange twist of destiny and perhaps prophecy, we may very well see alliances form here we would never have dreamed of. In that mode, Kushner spoke at the Saban Forum in DC concerning Trump’s peace efforts. 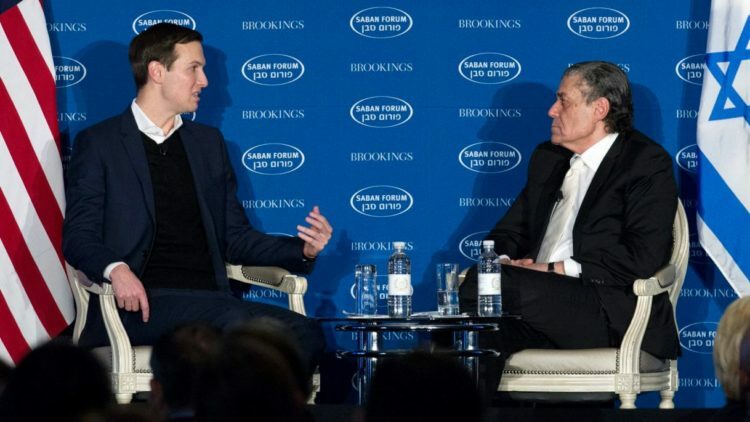 He spoke with Haim Saban, the Israeli-born business mogul who funds the annual conference on US policy in the Middle East organized by the Brookings Institution. Again, strange bedfellows. “The President has a very long career of accomplishing things that a lot of people think are impossible,” Kushner said. “The most recent example of that is the election. 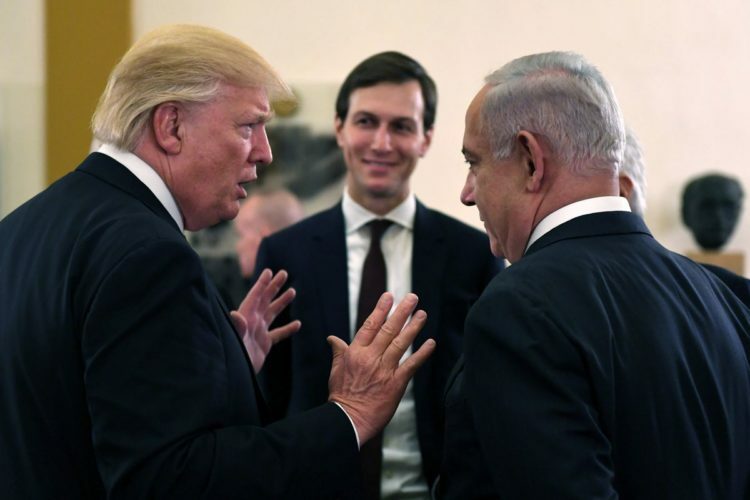 When we started the process of looking at how to create the peace deal, the first thing a lot of people told us was that it wasn’t the right time, that we’re wasting our time.” I noticed that there was good-natured kidding going on between Kushner and Saban. That’s a good sign. Kushner added that “I think that if we’re going to try and create more stability in the region as a whole, this issue has to be solved.” I wish him luck with that. Kushner pushed back concerning how the Trump administration is handling the conflict. He pointed out that it’s not a conventional team, but it is a qualified team with the best people for the job on board. “There’s no better real estate lawyer than Jason Greenblatt, and there are a lot of real estate issues related to this. We have Dina Powell, who has been very instrumental in helping us develop a regional economic plan for what could happen after a peace agreement. We’re focused on what happens after an agreement – how do you create a better environment down the road,” Kushner said. Kushner points out that many countries in the Middles East all want the same thing… economic progress and peace for their people. With Iran and ISIS posing such a huge threat in the region, many of these countries are now considering an alliance with Israel. Something they would never have considered 20 years ago. According to Kushner, they are making progress and Iran’s aggression is spurring an alliance forward. “The President has been very clear about his intentions on this issue, and going to Saudi Arabia and laying out a priority of fighting Iran’s aggression was significant,” Kushner continued, addressing Tehran’s influence in the region. They did discuss moving the US Embassy from Tel Aviv to Jerusalem, but Kushner was non-committal. I saw today that President Trump is expected to announce next week that the US considers Jerusalem to be the valid capital of Israel. This will not sit well with the Palestinians. Prime Minister Benjamin Netanyahu also addressed this same forum via satellite over the growing threat of Iran. Iran has a “ruthless commitment to terror” and a “ruthless commitment to kill Jews,” much like Nazi Germany during World War II, Netanyahu said, adding that as prime minister he did not “have the luxury of discounting” threats to destroy the Jewish people, and thus he continues to speak out about Iran. Whether this deal can be brokered and come to fruition is yet to be seen. But if Trump pulls this off, it will be a miracle in the Middle East and it will be historic. Bigly.